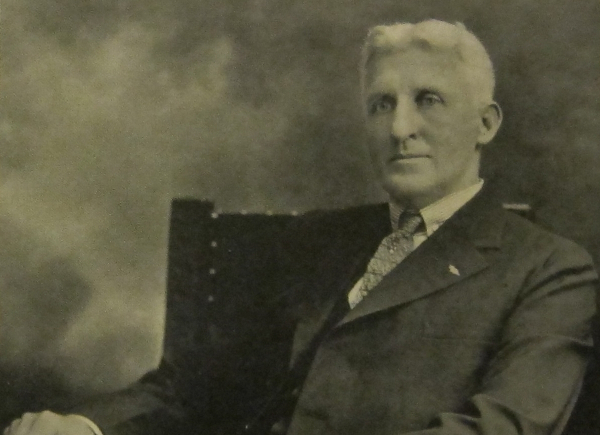 In 1919, Ohio businessman Arthur Nash decided to run his clothing factory according to the Golden Rule and treat his workers the way he’d want to be treated himself. In this week’s episode of the Futility Closet podcast we’ll visit Nash’s “Golden Rule Factory” and learn the results of his innovative social experiment. We’ll also marvel at metabolism and puzzle over the secrets of Chicago pickpockets. Arthur Nash, The Golden Rule in Business, 1923. Jeffrey Wattles, The Golden Rule, 1996. Arthur Nash, “A Bible Text That Worked a Business Miracle,” American Magazine 92:4 (October 1921), 37. “Golden Rule Plan at Clothing Mill Makes Profits for Owners,” Deseret News, Dec. 16, 1920. “Golden Rule Nash Offers 7-Hour Day,” Schenectady Gazette, July 4, 1923. “Arthur Nash, Who Shared With Employees, Is Dead,” Associated Press, Oct. 31, 1927. This week’s lateral thinking puzzle is taken from Henry O. Wills’ memorably titled 1890 autobiography Twice Born: Or, The Two Lives of Henry O. Wills, Evangelist (Being a Narrative of Mr. Wills’s Remarkable Experiences as a Wharf-Rat, a Sneak-Thief, a Convict, a Soldier, a Bounty-Jumper, a Fakir, a Fireman, a Ward-Heeler, and a Plug-Ugly. Also, a History of His Most Wondrous Conversion to God, and of His Famous Achievements as an Evangelist). Please consider becoming a patron of Futility Closet — on our Patreon page you can pledge any amount per episode, and all contributions are greatly appreciated. You can change or cancel your pledge at any time, and we’ve set up some rewards to help thank you for your support. You can also make a one-time donation on the support page of the Futility Closet website.